When it comes to the weather, San Francisco's neighbourhoods appear to have their own microclimates. It can be sunny in one place and then raining just around the corner. The weather is generally mild throughout most of the year although it does get a lot colder in the winter. Temperatures can drop quickly so it’s always worth having a jumper to wrap up in. 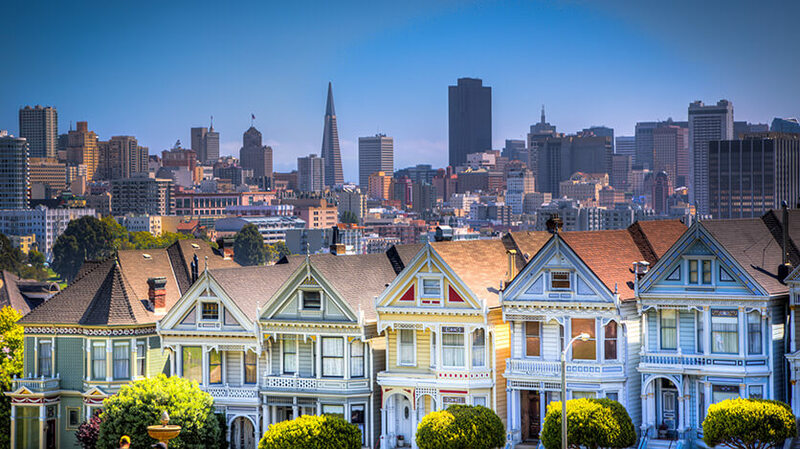 The best time to visit San Francisco is between July and October as it tends to be a little warmer. Autumn is a good time to visit when average temperatures are around 20 degrees. Expert cool mornings followed by comfortable daytime temperatures. The average temperature in April and May is around 17 degrees. In November the average temperature is about 17 degrees, in December around 14 degrees and temperatures drop to about 12 degrees in January.